During that that week I have made several different juices using all sorts of fruits and vegetables and they have all been a success when served for breakfast or as today, after 2 hours in the gym. Try this recipe which is filled with vitamins, minerals and antioxidants or make your own version with whatever fruits and vegetables you have in the kitchen (I can reveal that kale gives a beautiful green color and is one of the best vegetables you can serve, if you want to spoil your body). Cut the apple into quarters and remove the core. Cut off the top of the carrot and peel the ginger. 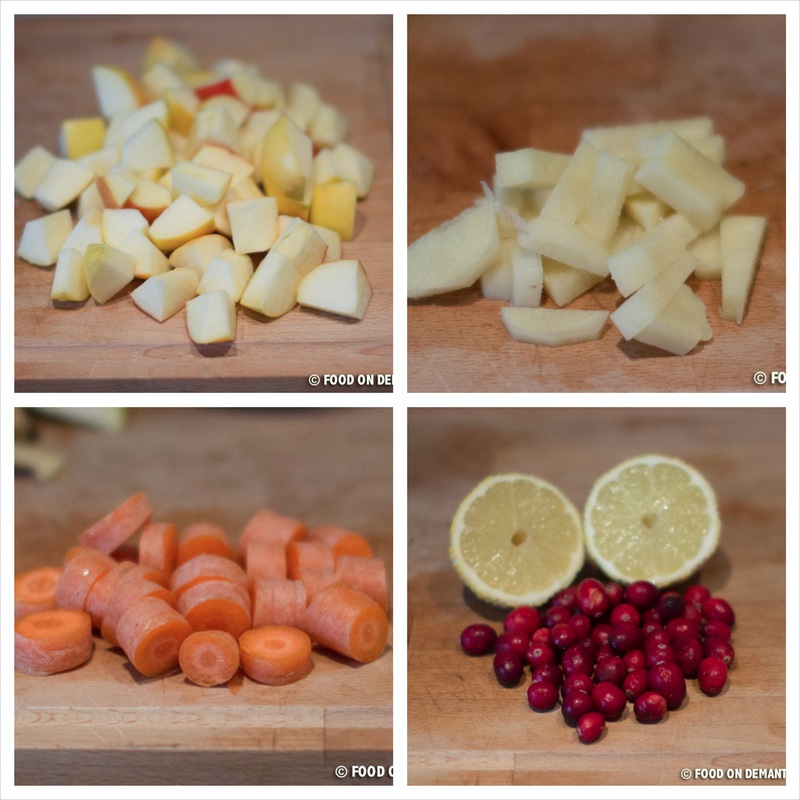 Cut apples, carrots and ginger into smaller pieces and place it all in a blender together with lemon juice, cranberries and water. 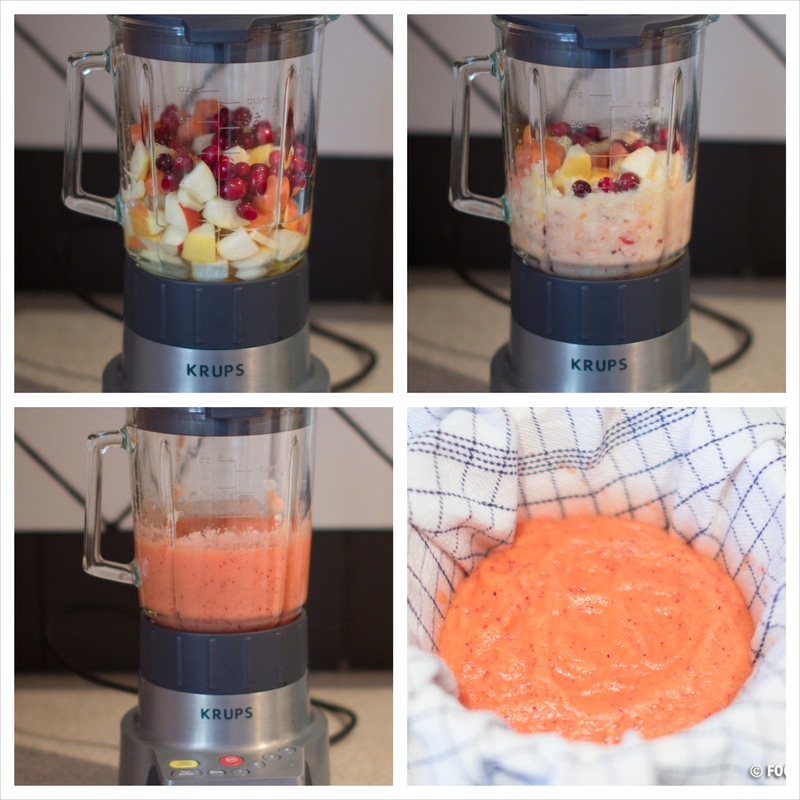 Blend until completely combined and you can begin to se all the juices from the fruits and vegetables being released. Cover a mixing bowl with a clean tea towel (I a few that are only used for juices or other similar processes) and pour the blended mixture into the tea towel. Assemble the tea towel so that you can twist it and squeeze all the juice into the bowl. Keep squeezing into to only have a handful of dry vegetable/fruit leftovers in the towel. Pour the juice into a decanter and serve immediately with a few ice cubes or fridge to cool. Fridge for up to two days and remember to stir a few times before serving. 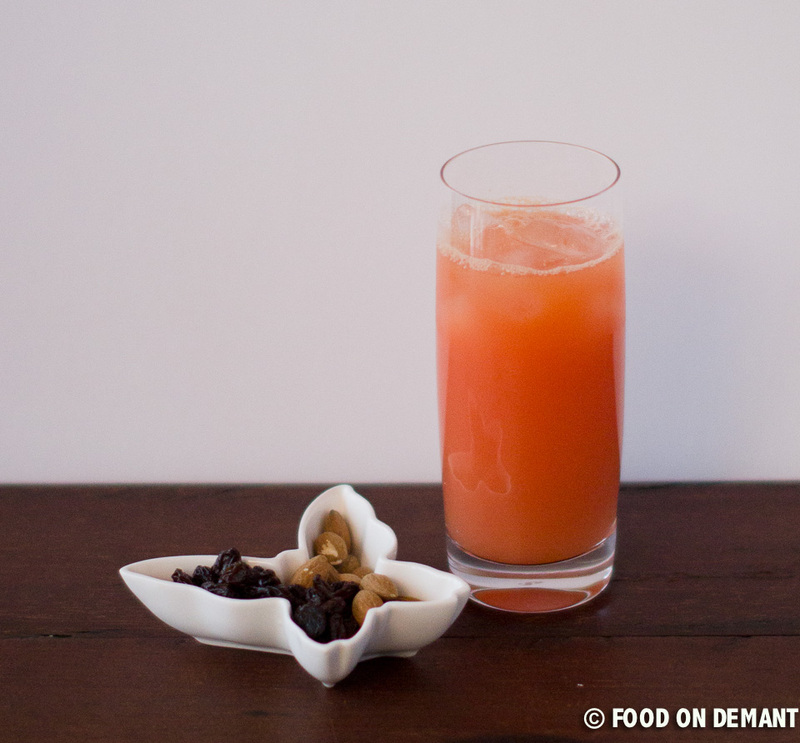 Pour the juice into a decanter and serve immediately with a few ice cubes or fridge to cool. Fridge for up to two days and remember to stir a few times before serving.